Create multi-infrastructure Amazon equivalence for ops automation. Even if you are not an AWS fan, they are the universal yardstick (15 minute & 40 minute presos) That goes for other clouds (public and private) and for physical infrastructure too. Their footprint is simply so pervasive that you cannot ignore “works on AWS” as a need even if you don’t need to work on AWS. Like PCs in the late-80s, we can use vendor competition to create user choice of infrastructure. That requires a baseline for equivalence between the choices. In the 90s, the Windows’ monopoly provided those APIs. Why should you care about hybrid DevOps? As we increase operational portability, we empower users to make economic choices that foster innovation. That’s valuable even for AWS locked users. We’re not talking about “give me a VM” here! The real operational need is to build accessible, interconnected systems – what is sometimes called “the underlay.” It’s more about networking, configuration and credentials than simple compute resources. We need consistent ways to automate systems that can talk to each other and static services, have access to dependency repositories (code, mirrors and container hubs) and can establish trust with other systems and administrators. These “post” provisioning tasks are sophisticated and complex. They cannot be statically predetermined. They must be handled dynamically based on the actual resource being allocated. Without automation, this process becomes manual, glacial and impossible to maintain. Does that sound like traditional IT? Side Note on Containers: For many developers, we are adding platforms like Docker, Kubernetes and CloudFoundry, that do these integrations automatically for their part of the application stack. This is a tremendous benefit for their use-cases. Sadly, hiding the problem from one set of users does not eliminate it! The teams implementing and maintaining those platforms still have to deal with underlay complexity. I am emphatically not looking for AWS API compatibility: we are talking about emulating their service implementation choices. We have plenty of ways to abstract APIs. Ops is a post-API issue. In fact, I believe that red herring leads us to a bad place where innovation is locked behind legacy APIs. Steal APIs where it makes sense, but don’t blindly require them because it’s the layer under them where the real compatibility challenge lurk. Side Note on OpenStack APIs (why they diverge): Trying to implement AWS APIs without duplicating all their behaviors is more frustrating than a fresh API without the implied AWS contracts. This is exactly the problem with OpenStack variation. The APIs work but there is not a behavior contract behind them. For example, transitioning to IPv6 is difficult to deliver because Amazon still relies on IPv4. That lack makes it impossible to create hybrid automation that leverages IPv6 because they won’t work on AWS. In my world, we had to disable default use of IPv6 in Digital Rebar when we added AWS. Another example? Amazon’s regional AMI pattern, thankfully, is not replicated by Google; however, their lack means there’s no consistent image naming pattern. In my experience, a bad pattern is generally better than inconsistent implementations. As market dominance drives us to benchmark on Amazon, we are stuck with the good, bad and ugly aspects of their service. For very pragmatic reasons, even AWS automation is highly fragmented. There are a large and shifting number of distinct system identifiers (AMIs, regions, flavors) plus a range of user-configured choices (security groups, keys, networks). Even within a single provider, these options make impossible to maintain a generic automation process. Since other providers logically model from AWS, we will continue to expect AWS like behaviors from them. Variation from those norms adds effort. Failure to follow AWS without clear reason and alternative path is frustrating to users. Do you agree? Join us with Digital Rebar creating real a hybrid operations platform. This short 15-minute talk pulls together a few themes around composability that you’ll see in future blogs where I lay out the challenges and solutions for hybrid DevOps practices. Like any DevOps concept – it’s a mix of technology, attitude (culture) and process. Our hybrid DevOps objective is simple: We need multi-infrastructure Amazon equivalence for ops automation. Joking aside, there are plenty of kind people who want to help children; however, there are a lots of worthy causes with equally strong appeal. The question is how do you pick which one? Donors/Contributors want one that is both emotionally appealing and effective. While radically different in human impact, both of raising orphans and building open source rely heavily on personal engagement and passion for success. Just like non-profits, there are many open source projects that want you to invest your time in installing and contributing to their most worthy technology. 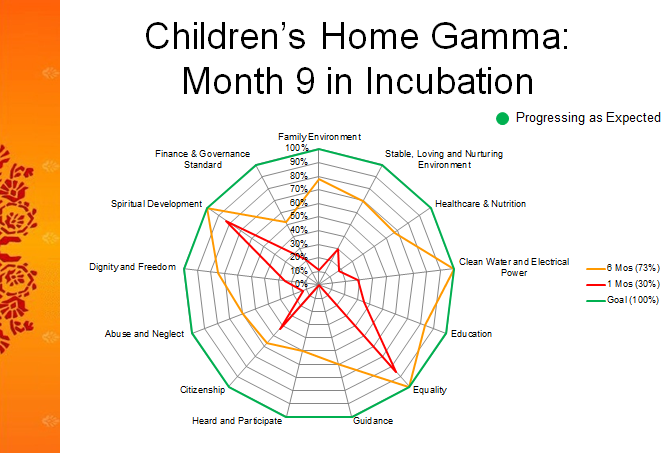 About 18 months ago, the Miracle Foundation pivoted their strategy from tending individual children towards cultivating whole orphanages (the “NEST program”, video below). They started tracking things like how much milk and fruit each child ate and if they had been vaccinated. They connected observable data like hemoglobin levels of children to their ability to pay attention in school. They were even aware of additional days girls spent in school just because they got monthly hygiene products. With this new program, the Miracle Foundation can tell you exactly how much benefit each child will receive from each dollar. These are real results derived from collecting real data, and the results are powerful. 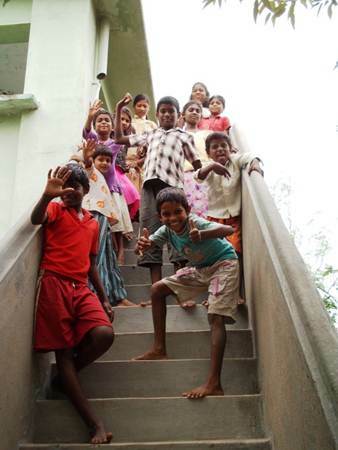 The children the Miracle Foundation nurtures are going from subsistence to flourishing. This is not happening because people care more about these children than before. It is happening because someone is keeping the data and making sure that the support they give gets the results they want. This in turn helps donors (become one) feel confident that their emotional response is delivering tangible improvements. Both are essential to TMF’s mission. Open source projects have a similar gestalt. People and companies contributing time and resources to a project want to both believe in the technology and see tangible metrics to validate adoption. Open source transparency makes it easier to find active projects and people are engaged contributors, but it can be harder to determine if the project is having broader impact. For OpenStack, these tangible metrics began to surface in the last few days. Before the summit, Stephano Muffulli, community manager, launched the OpenStack Activity Board to show commit and quality data for the project. Last Monday, Tim Bell & Ryan Lane presented the results of the first user survey which showed how and what users are adopting for OpenStack. If you like seeing this type of data driven behavior then vote with your keyboard and become part of an active open source project. For non-profits like the Miracle Foundation, voting is even easier – you just need a credit card to join in their Mothers’ Day campaign. Your mom may not understand anything you add to open source, but she can understand when you help orphans. As OpenStack enters rapids with Grizzly, watch for strong currents, hidden rocks & eddies. 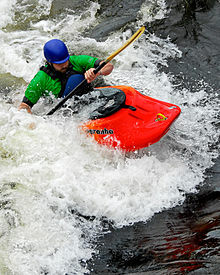 I enjoy kayaking white water rapids – they are exhilarating and demanding. The water accelerates around obstacles and shows its power. You cannot simply ride the current; you must navigate your way around obstacles, stay clear of eddies that pull you back and watch for hidden rocks. The secret to success is to read the current and make small adjustments as you are carried along – resistance is futile. After the summit, I see the OpenStack with the Grizzly release like water entering the rapids. The quality and capability of the code base continues to improve while the number of players with offerings in the ecosystem is also increasing rapidly. Until now, there was plenty of room to play together; however, as scope, activity and velocity increase there will more inter-vendor interactions. As a member of the OpenStack board, I have tremendous enthusiasm for what the OpenStack community has accomplished. There have been some really positive accounts of the summit including CSC “OpenStack gains maturity…“, Silicon Angle “OpenStack has reached a Flash Point”, Randy Bias’ “OpenStack is THE Stack”, Wayne Walls “Hallway Track” and much more on the Planet OpenStack aggregator. In fact, we’ve created such a love fest for OpenStack that I fear we are drinking our own kool aide. I have a responsibility to be transparent and honest about challenges facing the us because it’s the Foundation’s job to guide us forward. My positions result from many conversations that I had throughout the week of the Summit. They are also the result of my first hand experiences along with my 14 years of cloud experience. A growing number of new developers are joining. Since our work surface area is expanding, it’s both easier than ever to participate and harder to navigate where to begin. We need to get ahead of the design cycles. A growing number of non-devs are participating and bringing important contributions and experience. We must include them in the OpenStack meritocracy because they speak for the quality and usability of the project. A growing number of companies (many “name brands”) who are still trying to figure out how to participate and collaborate in open source projects. Lack of experience increases the risk of divergence (forking) and market confusion. A growing number of products based on OpenStack also increases forking risk as OpenStack contributors feel compelled to differentiate. A growing number of core components (compute+block+network+…) that are required to have base functionality. A growing number of deployed sites offering OpenStack clouds but the community lacks a way to verify (or really discuss) compatibility between the sites. This list is a cause for celebration not a cause for alarm – every item is a challenges based on our success. The community and Foundation are already working to address the risks. While some of us enjoy the chaos and excitement of rapids, other can take comfort from the fact that they are always followed by calm waters. Don’t worry – we’ll navigate through this together. I’m certain that the Atlantic‘s Charles Fishman was not thinking software and DevOps when he wrote the excellent article about “The Insourcing Boom.” However, I strongly recommend reading this report for anyone who is interested in a practical example of the inefficiencies of software lean process (If you are impatient, jump to page 2 and search for toaster). It’s important to realize that this article is not about software! It’s an article about industrial manufacturing and the impact that lean process has when you are making stuff. It’s about how US companies are using Lean to make domestic plants more profitable than Asian ones. It turns out that how you make something really matters – you can’t really optimize the system if you treat major parts like a black box. If you are making software then you are making stuff! Your install and deploy process is your assembly line. Your unreleased code is your inventory. This article does a good job explaining the benefits of being close to your manufacturing (DevOps) and being flexible in deployment (Agile) and being connected to customers (Lean). The software industry often acts like it’s inventing everything from scratch. When it comes to manufacturing processes, we can learn a lot from industry. Unlike software, industry has real costs for scrap and lost inventory. Instead of thinking “old school” perhaps we should be thinking of it as the school of hard knocks. Recent industry buzz about cloud service level agreements (SLAs) and reliability miss the core point about cloud. Cloud is about agility, business models, consumerization of software and merciless pursuit of efficiency. The fact that Amazon EC2 built its base without an “enterprise” SLA is exhibit #1 that the IT world changed and it’s not going back. Here are my reasons why IT pandoras can’t get cloud back into the box. The concept of your users accessing your applications from inside your firewall is so 2005. Today’s reality is that significant amounts of network access is externally routed means that applications need to live where they have excellent bandwidth to their users and to other applications. Cloud is not less expensive infrastructure, it is mainly more flexible. If you’re worried about an outage, then cloud is exactly the investment for you because you position a backup site at another location without having to pay for online resources. It’s much harder to take down a site that invests the time to design a system that dynamically reallocates load between sites. The fact that cloud delivery is more opaque and modular without a five 9s SLA has driven a cloud application architecture revolution (see CAP). We have shifted the app paradigm from robust scale up hardware to robust scale out software. Also significant, DevOps innovations have made deployments repeatable and adaptable. The only “logical” argument for pulling applications back from the cloud is to assert control over more of the delivery chain for your application. It the same reason that we think that driving is safer than flying – we’re the ones sitting behind the wheel when we drive. News flash – driving is NOT safer than flying. Cloud applications are not about hardware infrastructure, they are about SOFTWARE. Perhaps one of the greatest disservices foisted on the market was saying cloud is synonymous with “Infrastructure as a Service” and “Virtualization.” Cloud applications are powerful because we created ways that circumvent the limitations of IaaS and VMs!